I think I’m going to bake cookies at some point this weekend. Between all the knitting I’ve been doing (I really need a hand massage), work and any other social activities I don’t know where I will find the time. 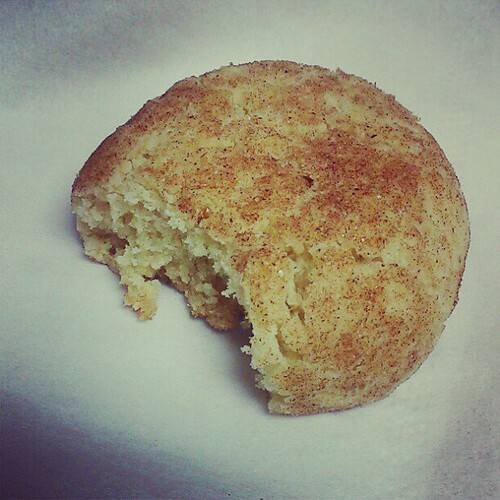 I’m considering making snickerdoodles (pictured above), brownie cookies (my most demanded cookie), chewy ginger cookies and if I have time a batch or two of red velvet sandwich cookies. It’s a really ambitious plan for the few hours of time I’ll have on Sunday. Perhaps Saturday night I’ll make a lot of dough and then Sunday night I can just bake, bake, bake! We’ll see. I may be up to my eyeballs in holiday cookies. Speaking of holiday, how festive is this nail color? It’s China Glaze Running in Circles, part of their Cirque du Soleil collection – not even part of a holiday collection! 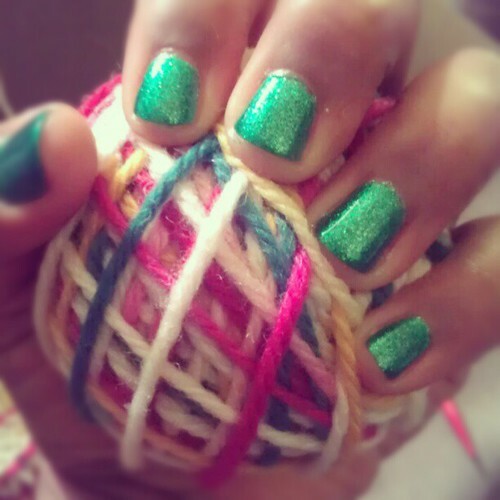 The color applied gorgeously in two even coats and it’s like having a green ornament on your fingertips. I absolutely love this color. Another thing I loved this week, my outfit on Thursday. 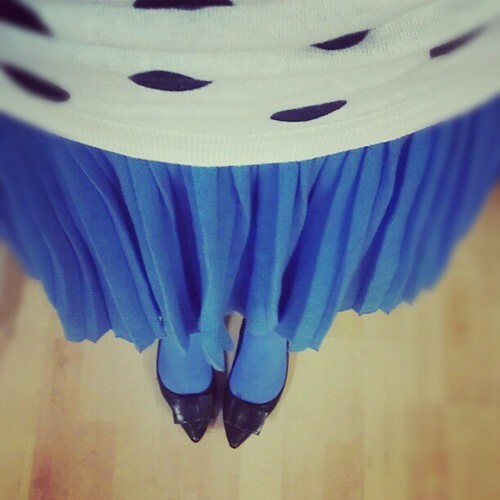 I went with a white and black polka dot sweater, my periwinkle blue pleated skirt and matching tights with black bow pointy toe flats. I kept twirling in my living room and I’m pretty sure my husband thought I was crazy. Sometimes I just need the right dose of color to make my day fantastic. Those are my three things, what are three good things with you? Oh and have a great weekend!